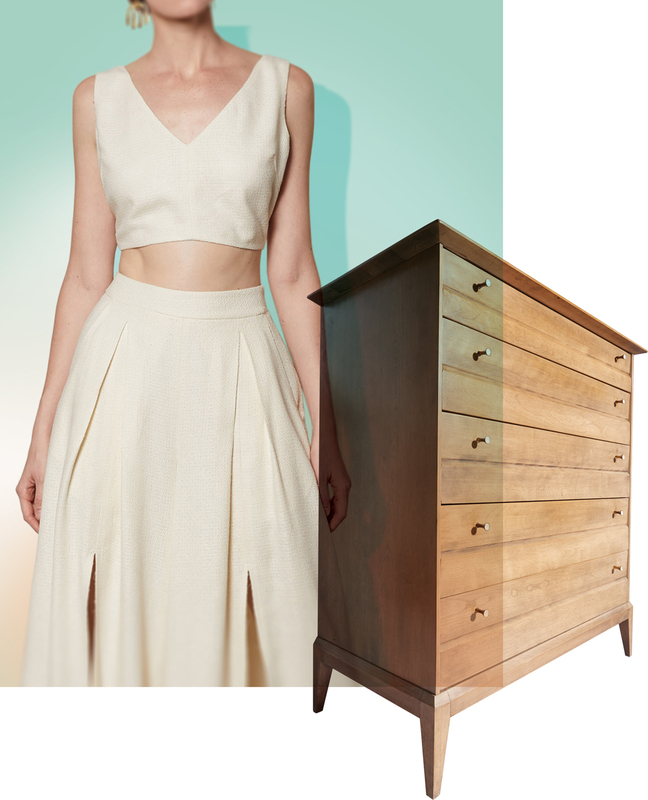 Fashion and furniture combine to create a beautiful romance. At least that’s the story at Brick + Mortar, the vintage and antique furnishings shop at Westside Provisions District, which carries the chic, easy garments by local fashion designer Megan Huntz. Here, Huntz teams up with Brick + Mortar founder David Kowalski to match up three garments with their fine furniture companions. The raw silk Atley culottes ($360) and matching Amee top ($210) play well with oversize sunglasses and a convertible. This midcentury Heywood-Wakefield dresser ($1,795) stores the scarves. The Carrie black raw silk pleated romper ($420) is structured and unique, serious yet surprising, like the Jacks coffee table by Adrian Pearsall ($1,295). 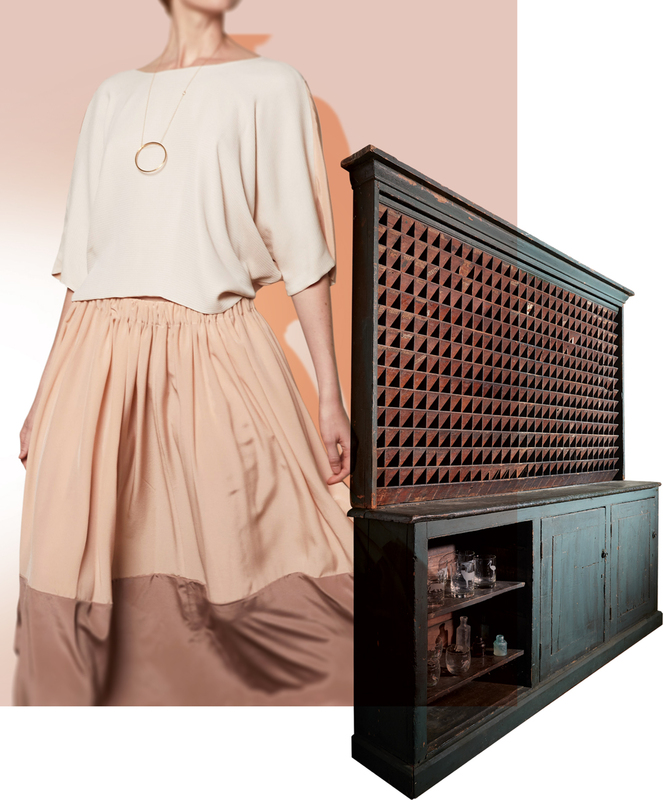 The romantic reversible two-toned pink silk Nina top ($220) and matching Tina skirt ($320) is fit for a trip to the country for a garden party via this English 1920s-era train ticket desk ($1,795).